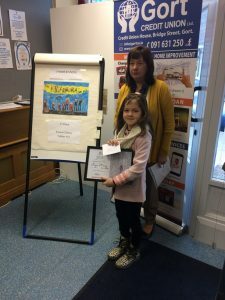 Well done to Eimear to won first prize in the Gort Credit Union art competition. The theme was “what dreams are made of”. Eimear’s artwork was a picture of her playing with the Kilfenora Céilí Band.